If you are in need of top rated Oakland Township MI House Painters, please call SJB Painting at (248) 802-7465 for a free estimate. Click here to Follow Us on Facebook or read our excellent reviews online! Improving the appearance of your home is a great way to make it more enjoyable and valuable. One of the most effective ways to do this is by giving it a fresh coat of paint. When people consider painting their home, many want to do it on their own. There are several reasons, however, why you should reconsider hiring exterior or interior house painters. 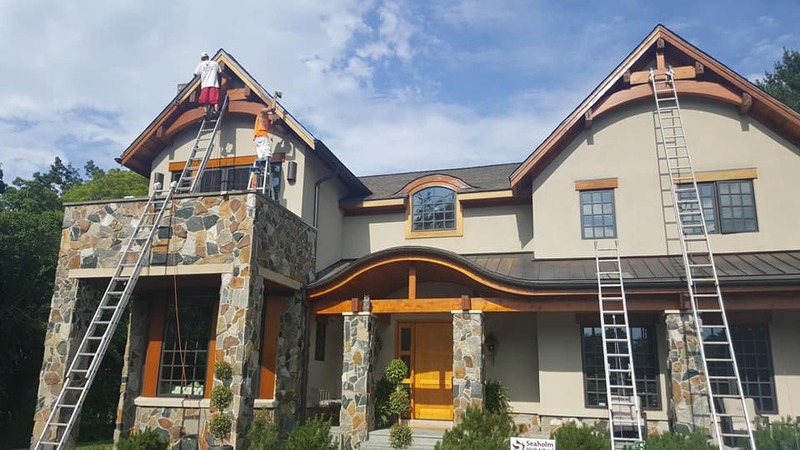 A simple reason why you should hire an exterior or interior house painter is that it will save you a lot of time. You can spend so much time searching for painters, paint, and supplies. Additionally, prepping the room and painting takes its toll on your day-to-day life. When all is said and done, you may end up spending several days on a small painting project. Hiring an exterior or interior house painter can save you all of that time and worry. Another reason why it is a good idea to hire an exterior or interior house painter is that we aren’t all cut out for it. Painting is a deceivingly strenuous activity, requiring physical activity that your body isn’t used to. Ladders are another issue that could pose some issues for those trying to paint their homes themselves. When you try to paint a home on your own, the variety of paint and supplies can be overwhelming and confusing. Ultimately, one of the best reasons to hire a professional painter is that you will receive a better final product. Though the cost of a professional house painter may be higher than it if you were to do it on your own, the fact is that it will be done right and to your satisfaction. Finally, when you hire a professional painter your painter should be licensed and insured. If the painter happens to damage something, that cost can be covered by their policy. And their insurance will cover any employees that are injured while working. For experienced Oakland Township MI House Painters, please contact SJB Painting at (248) 802-7465 for a free quote.